North Korea issued a straightforward statement Thursday saying Pyongyang won’t denuclearize until the United States removes its nuclear threat from the region first. 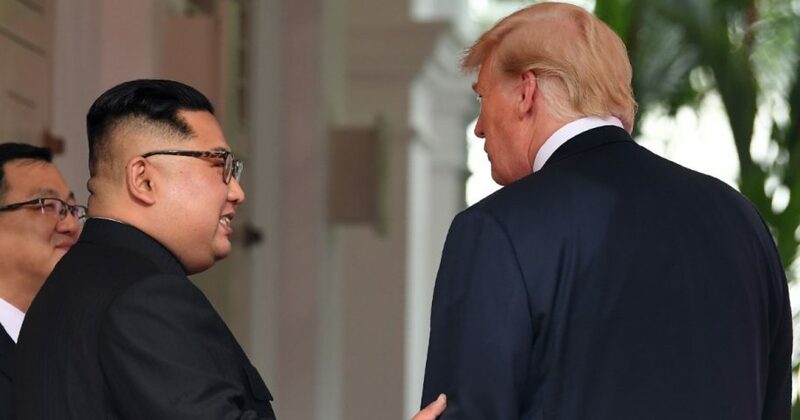 “The proper definition of denuclearization of the Korean Peninsula is completely eliminating the American nuclear threat to North Korea before eliminating our nuclear capability,” commentary published by state-run Korean Central News Agency declared. In the roughly six months since, few concrete developments have been made. “I don’t want to split words, and I think our policy has been clear,” State Department deputy spokesman Robert Palladino told reporters Tuesday. North Korea has asked for several concessions in the past before committing to complete denuclearization. It has demanded the U.S. lift sanctions on the country, requested to officially end the Korean War and asked for a second meeting with Trump. Pompeo insisted Thursday that the U.S. is “undoubtedly” in a better place with the communist dictatorship than it was a year ago. “No more missiles being tested, no more nuclear testing. We’re in a better place today,” Pompeo said to Kansas radio station KNSS. Pyongyang’s heightened request comes just a day after the U.S. was in talks about easing a travel ban and letting American aid workers deliver humanitarian relief to North Korea, The Wall Street Journal reported. This potential concession came as Trump’s special envoy to North Korea, Stephen Biegun, landed in Seoul for meetings with South Korean officials regarding North Korea’s denuclearization.